PORTO ALEGRE, Brazil—There is a natural symbiosis between humans and nature—and this connection is even stronger between indigenous people and their land. In 1988, after centuries of massacres and harmful policies, the federal Constitution granted Brazilian indigenous peoples rights over their traditional lands. Some of these territories are granted to tribes that, by option or circumstances, have no contact with the outside world. However, violations of their rights are on the rise. 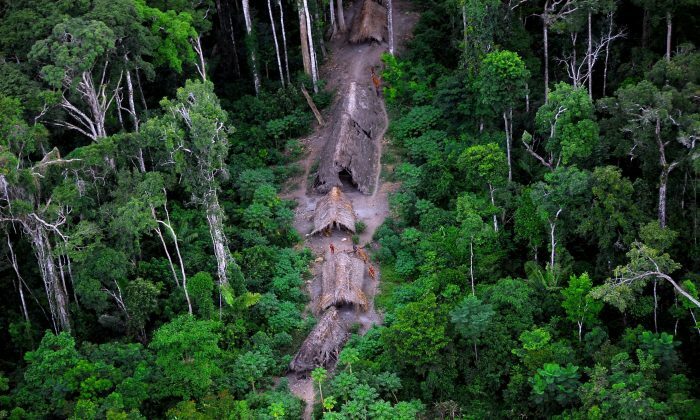 A major threat to these uncontacted peoples comes from the illegal timber trade. Recently, the Uru-Eu-Wau-Wau indigenous reserve in the Amazon region, where at least three isolated tribes live, was invaded by illegal loggers. An international campaign to raise awareness about this situation was launched by Kanindé, a third-sector agency that works with tribes living in the reserve. The Uru-Eu-Wau-Wau case is not an exception. According to the Indigenous Missionary Council, an organization focused on indigenous rights, 26 out of 112 isolated tribes identified in Brazil have their existence threatened by illegal logging. Brazil has the largest number of isolated tribes in the world. Ongoing efforts to protect forests have not been enough to prevent illegal logging and deforestation. 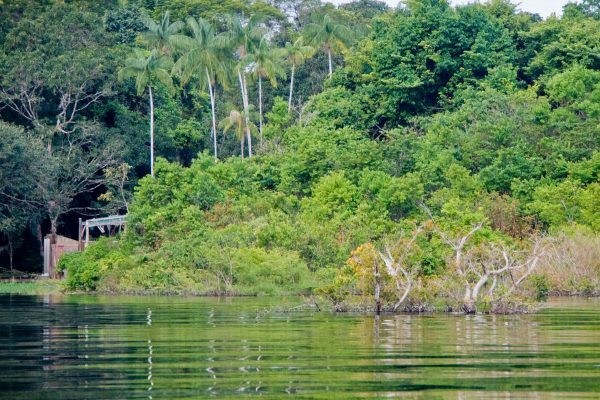 A report released by the World Wildlife Fund on Oct. 29 states that the Amazon rainforest has lost about 20 percent of its original area since 1970. And data from the National Institute for Space Research indicates a slight increase in deforestation rates—2,682 square miles in 2017 compared to 1,765 square miles in 2012, when the lowest rate was recorded. But it is still much lower than the rates of the 1990s and early 2000s, when it peaked at over 11,000 square miles. The idea that illegal loggers tear down all forest trees they find is not accurate. Massive deforestation is more often caused by soybean and cattle farmers who want to illegally expand their lands. Ivanete Bandeira from Kanindé says that “illegal loggers destroy the forest in a selective way,” as they choose only the most valuable types of wood to harvest. Despite not causing extensive deforestation at first, the illegal timber trade opens up the way to other criminal activities. Loggers usually steal high-value timber and then leave the region, leaving behind open roads into the area. Illegal logging is not practiced by lone wolves, but by organized criminal groups, which usually approach indigenous tribes in two different ways: by persuading them with financial offers or by illegally invading their lands. In the second case, it is not rare for armed conflicts to emerge. Seventy indigenous people were murdered in conflicts in 2017, Brazilian newspaper O Globo reported. It is very difficult to track the illegal timber market. It is believed that most of the timber stays in Brazil, although hardwood is often also exported to Europe and North America. An example is the ipê tree (also known as Brazilian walnut, frequently used for flooring), an endangered species highly desired among illegal loggers; 500 board feet of the timber can sell for up to $2,700. The terms “isolated” or “uncontacted” don’t necessarily mean that these indigenous groups have never had any contact with the outside world or are unaware of it. “There is an idyllic idea of people living in a pre-industrial era. Many of them already had some contact with ‘society’ but chose to be apart from it,” said Bárbara Maisonnave, an anthropologist at the Federal University for Latin American Integration in Iguaçu. The current policy for isolated indigenous people is to restrict contact with them to only life-threatening cases. Only the official National Indian Foundation (FUNAI) is allowed to contact the tribes, as a way of protecting them from diseases and cultural clashes that could undermine their way of life. This non-contact policy has, overall, been considered positive by many experts. But, according to Maisonnave, it could be improved, especially regarding the relationship between contacted and isolated tribes. “The contacted indigenous who share territory with the isolated ones want to take part in the discussion of new policies, but FUNAI doesn’t listen to them. It would be interesting to know what they have to say,” she said. It is not only the people who are affected by illegal logging within indigenous reserves, but also the natural environment itself. Inside the Uru-Eu-Wau-Wau land lie the sources of 17 of the most important rivers of the Amazon Basin, which are crucial for developing agriculture and as a water supply for the population. Furthermore, there is a high risk of losing biodiversity. “This illegal market destroys scientific knowledge and chances to develop new medicines, for instance,” said Bandeira. One of the reasons for the increasing threats to the indigenous peoples is that responsible authorities don’t have sufficient resources to patrol indigenous lands to deter and apprehend criminals. Government resources allocated to FUNAI were cut by 40 percent from 2014 to 2017, according to Brazilian investigative journalism agency Publica. In addition, illegal loggers rely on impunity, Bandeira explained. “Even though sometimes they are arrested, the [justice system] often releases them, so it becomes a lucrative business,” Bandeira said. Besides effective forest surveillance, Greenpeace’s Batista said the solution for illegal logging lies in making the wood market more accountable and transparent. 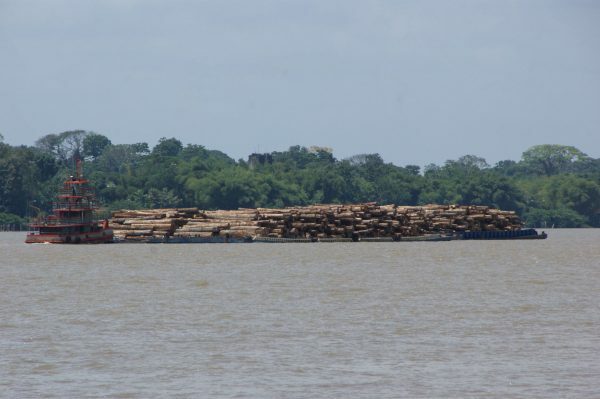 “Buyers in São Paulo or in London should be able to know whether the wood from the pool deck they are aiming to buy was legally obtained or not. This should come along with a vigorous environmental inspection every time logging enterprises are licensed,” he said.